Come see robots built and operated by high school teams play AERIAL ASSIST, this season's FIRST Robotics Competition. Teams from many states compete for the right to head to the FIRST Championships in St. Louis. Competitions on Friday and Saturday, April 4-5 at the Univ. of Maryland's Comcast Center. Free and open to the public. ME Special Seminar | Biologically Inspired Soft Mechanisms in Robotic Incredible biological mechanisms have emerged through evolution, and provide a wellspring of inspiration for engineers. One promising area emerging from biological inspiration is the design of mechanisms and robots made of compliant materials, as part of a larger field of research in “soft robotics.” In this talk, the topics of designing soft biologically inspired mechanisms will be presented in two case studies: mechanical adhesives and soft wearable sensors. The Center for Educational Outreach at the Whiting School of Engineering is pleased to host the second annual Hopkins Robotics Cup, the Championship for Baltimore City Public Schools. 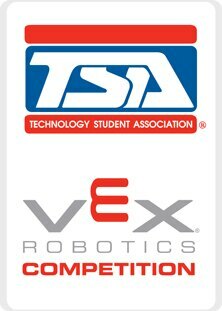 All City Schools VEX teams are invited to participate in this tournament. Teams will compete in either the Middle School or High School division. This event is an exhibition scrimmage held at the 2014 Greenbelt Mini Maker Faire, a small community celebration of "maker" activities from a wide variety of science, technology, arts, and craft fields. Robotics is one of four focus areas of the faire. The National Electronics Museum will be offering a Robot Building Workshop during National Robot Week. The workshop will take place on Saturday, April 5th, from 9am to 1pm, and is available for anyone 10 years or older. Participants will learn how to solder while building and programming their own robot. The cost of the workshop is $70 with limited space available and advanced registration required. Robot Fest is an annual event for anyone interested in the creative use of technology. We welcome all roboticists, hackers, artists, hobbyists and makers of any age who have the unquenchable urge to develop and create new, previously unseen forms from lifeless electronics, fabrics and mechanical parts. Join the fun and excitement with hands-on exhibits, and workshops! GENERAL INFORMATION Robot Fest, Saturday, April 12th has a suggested admission donation of $8 for adults, $4 for middle and high-school students. Elementary school children and younger are still FREE! And for a little fun, have you noticed our Robot Fest Robot logo is wearing cool sunglasses? Bring your sunglasses and save $1 per person!